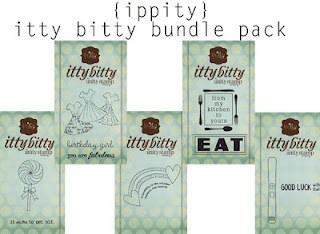 Whew, I'm finally getting to blog a couple of things that I had intended to share yesterday...house cleaning got in the way; can you believe that? 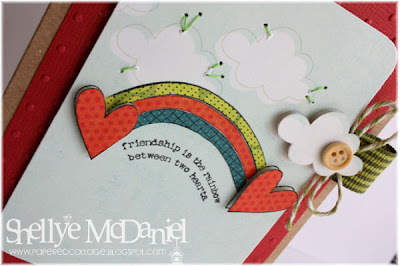 For Totally Teriffic Thursday, I used one of the new Itty Bitty stamps, Friendship Rainbow. ﻿I stamped the image four times onto three different patterned papers (Lime Twist by My Mind's Eye) and lastly onto the cloud paper. I use Staz-On ink for the majority of my stamping (black...the images are always so crisp). I then carefully handcut each strip of the rainbow from the patterned papers and glued onto the cloud paper, using its stamped image as a pattern. After cutting the hearts from the paper, I added a foam dot before adhering. For a little extra dimension, I stitched around the clouds and also added a popped up cloud, button, ribbon tab and baker's twine. Yay! My very first post at Vintage Street went live today! 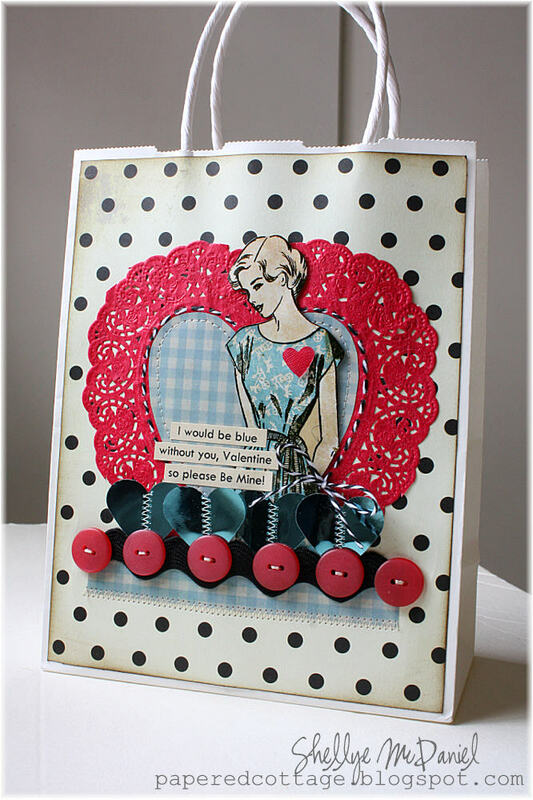 I created this Valentine treat bag using a standard white gift bag and embellishing with the sweet black/cream dot from the back of the “Meghan Kay” paper (Family Fun). 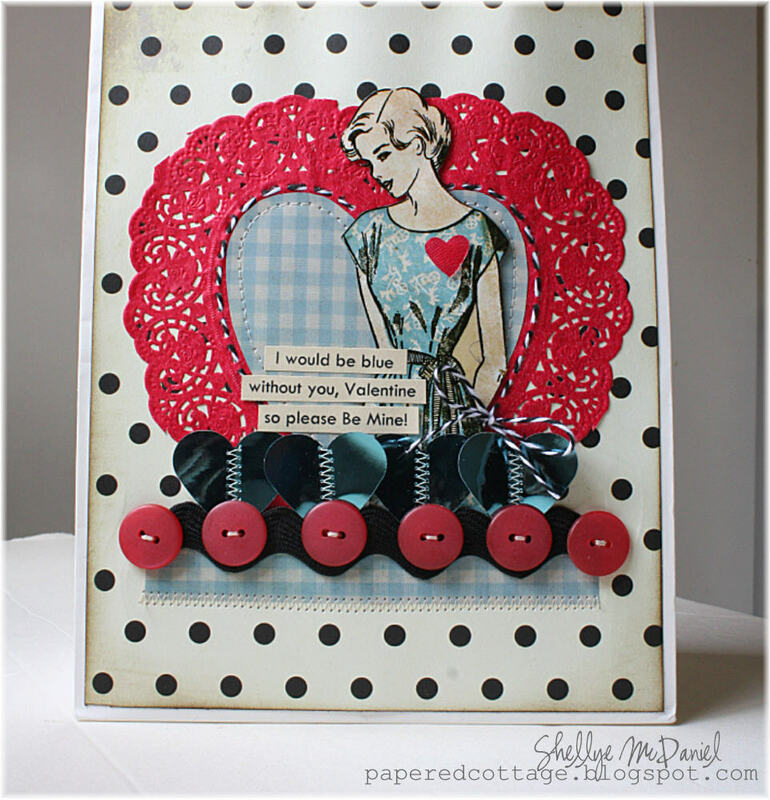 I handcut the lady in blue from the Dimestore Vogue paper sheet and attached her to the front of a red heart-shaped doily using foam dots. On the inset of the doily, I cut a small heart from the Dimestore Vogue paper sheet and adhered. I also added a running stitch of black/white baker’s twine inside the perimeter of the heart and tied it into a bow. Four shiny blue hearts were punched from the Fancy Foil Sheet, machine stitched down the center and then added to the bag front. To finish off, I added a strip of the blue gingham paper, topped with a large black ric-rac and vintage red buttons to the bottom of the design. A small red heart was added to the dress for a pop of color. I printed out the words “I would be blue without you, Valentine, so please be mine” onto cardstock, trimmed to size and then attached. That’s it! My hubby loves Ghiradelli chocolates, so I tucked in a couple of packages of candies and added a little tissue paper before gifting. I'm working the weekend (booo, yes I said it and I normally love going to work...but it'll be rainy and I had just rather be home scrappin'!) So I'll see you all on Monday with the EAD Blog Hop. 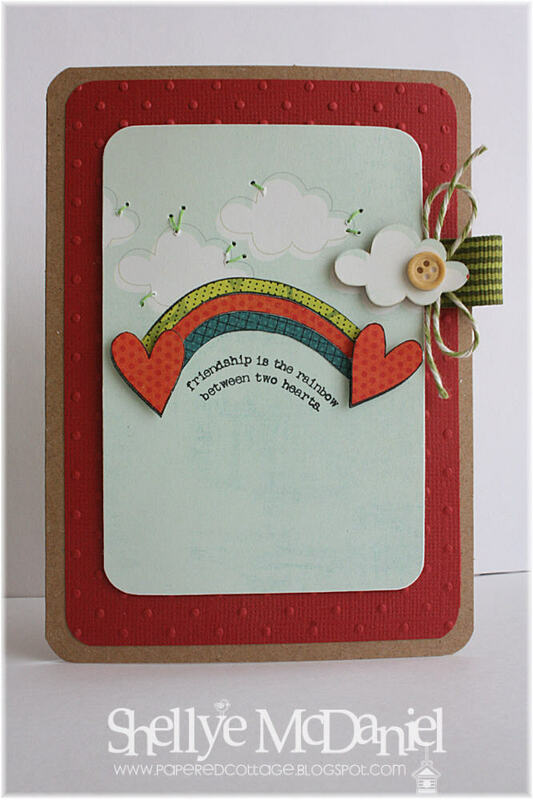 Love the LO of your card and those stamps are adorable! 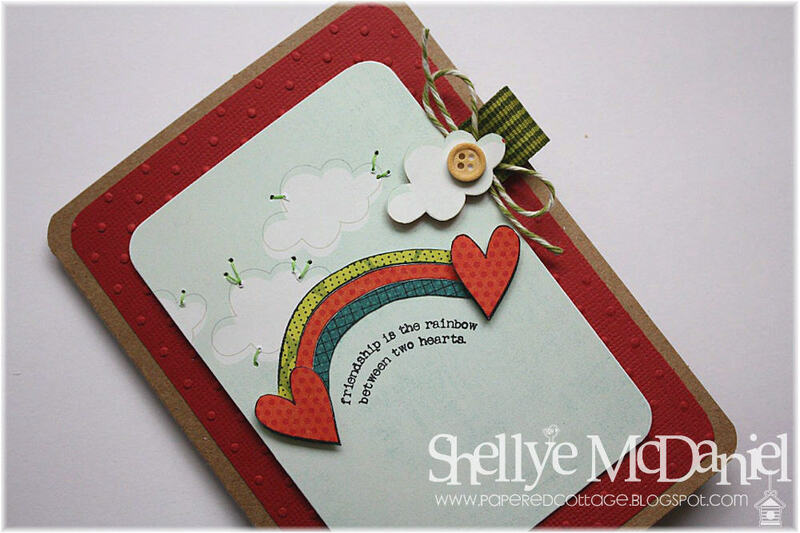 Wow, awesome job Shelley on your card:) Beautiful!